Google unveiled its Pixel 3 and Pixel 3 XL in October last year. The handsets boasted a new dual front-facing camera system for wide-angle selfies, faster processor, and a greater screen-to-body ratio. If the Mountain View-based company follows its typical release schedule, we can expect to see new Pixel hardware in October this year – that's if rumours of a more affordable Pixel 3 Lite smartphone don't come to fruition in the meantime. It might still be months away from hitting shelves worldwide, but we're already starting to hear the first whispers of what the Google Pixel 4 could entail. The latest details comes courtesy of a leaked version of the next major Android operating system update, codenamed Android Q.
Blog XDA Developers has spent some time with the next iteration of the hugely-successful mobile operating system. Google uses its own Pixel-branded hardware to demonstrate the latest capabilities of its own software. As a result, Pixel phones and tablets are always among the first to run the latest version of Android OS. It follows that Pixel 4 and Pixel 4 XL will be powered by Android 10.0 Q. 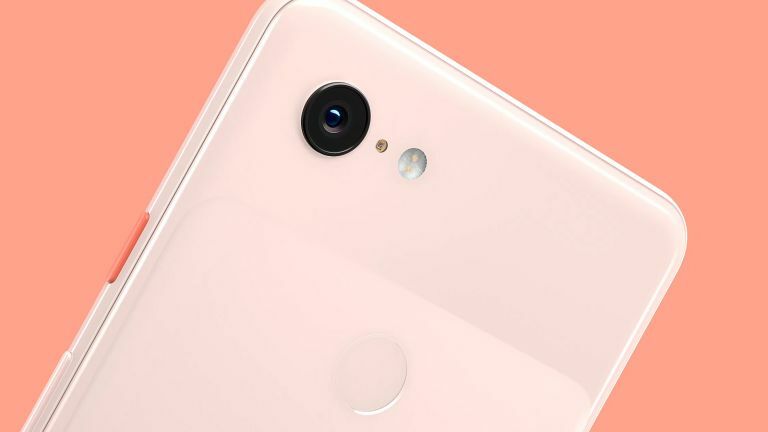 As a result, the latest leaked Android Q feature will likely be some of the headline software features of the forthcoming Pixel handsets. According to XDA Developers, the biggest change coming to Android Q is the introduction of a system-wide dark mode. This swaps the white system menus typically favoured in Android for darker tones to make the display less glaring in low light situations. It could also force dark mode even in third-party apps that lack a built-in version of the feature. Smartphones with OLED panels could also save battery by using a dark mode. Android Pie introduced the ability to change a dark theme. However, this is far from system-wide and only changes the shade of the notification shade. Another major change to Android 10.0 Q is a renewed move to bolster user privacy. Google implemented stricter rules around camera and microphone access, as well as the feature accessed by apps running in the background in recent Android software updates. With the next software update, it looks like the US search company will add a new “allow only while the app is in use” permission. This means third-party software will only be able to access your location, microphone, camera, and more, when the app is open on your screen. Apple's rival operating system, iOS, which powers its iPhone and iPad hardware has long offered these types of granular privacy controls. Elsewhere, XDA Developers claims there are hints within the software that Google is working on its own external display mode, similar to Samsung DeX. This dock allows Galaxy S9 and Galaxy Note owners to use their smartphone to power an external display and use their Android apps – like the Microsoft Office suite – with a keyboard and mouse. If this makes it into the final version of Android Q, it's highly likely that we'll see Google launch its own dock hardware alongside the Pixel 4 and Pixel 4 XL.